Chennai is leading the country in urban obesity and it is becoming a major cause of death across the country. CHENNAI: Although obesity can be prevented in more than half the cases, it has nearly doubled in Tamil Nadu, said Rajkumar Palaniappan of Apollo hospitals, speaking to Express, on the eve of World Obesity Day. “Chennai is leading the country in urban obesity and it is becoming a major cause of death across the country,” he said. People having Body Mass Index (BMI) more than 25 kg per metre square have been considered as obese. In the past 10 years, the number of obese people has doubled in the country, according to the National Family Health Survey (NFHS-4). Between NFHS-3 (in 2005-06) and NFHS-4 (2015-16), obesity among women increased from 14.5 to 28.2 per cent and among men from 20.9 to 30.9 per cent. The survey also shows that people living in urban areas are significantly more obese than those in rural areas. “South Indians are carbohydrate eaters primarily and tend to store more carbs as fat. 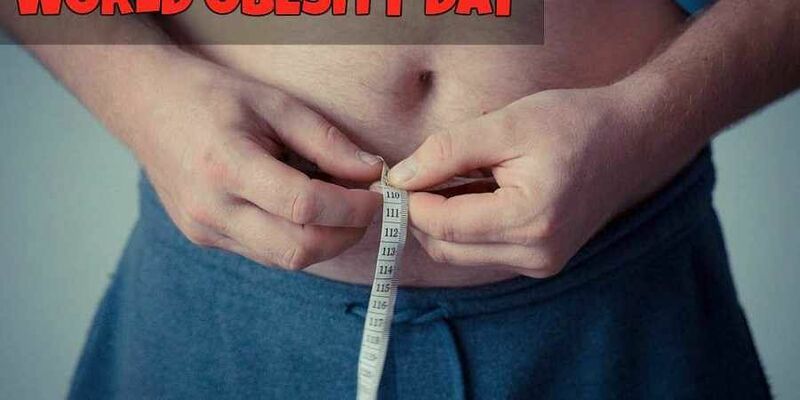 This dietary habit, coupled with a cultural negligence to act on obesity and a sedentary life style, has caused rapid increase in the number of obese people in the State,” he said. He further added that urban obesity was a result of multiple factors including, but not restricted to, access to food, lack of common spaces to work out, stress and sedentary lifestyle. He further added that people in Tamil Nadu do not work out in the sun out of fear of tanning and cultural barriers such as these must be broken down. “In at least 50 per cent of the cases, obesity can be fully prevented and 20 per cent more, we can prevent diseases such as diabetes and hypertension which results from obesity,” he said adding that obesity is now recognised as a disease. He added that by preventing obesity, the current generation will also not predispose the next generation to diabetes and hypertension, he said. “Eating more protein-based meal, reducing carbohydrate intake by decreasing rice consumption, working less and spending more time on health and wellness, should take the limelight,” he said.